Abbreviation: Indian Institute of Technology (Indian School of Mines) Dhanbad or IIT (ISM) is known as ISM. About: Lord Irwin, the then Viceroy of India started the Indian School of Mines, Dhanbad on 9th December 1926, to address the need for trained manpower related to mining activities in the country with disciplines of Mining and Applied Geology. IIT(ISM) has undergone a considerable expansion of its activities, and presently it can be considered as a total technology education institute. History: The McPherson Committee established by Govt. 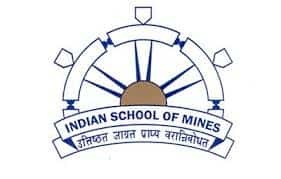 of India, recommended the establishment of an institution for allowing education in the fields of Mining and Geology, whose report, submitted in 1920, formed the main basis for the establishment of the Indian School of Mines, Dhanbad. University : It is granted the status of a deemed to be university under Section 3 of UGC Act, 1956. Authority: IIT Dhanbad has the Authority to Conduct the ISM EE 2019 and decide about the Allotment of seats to the Applied Candidates. Campus: The serene campus is spread over an area of 393 acres(with 218 acres of existing campus and 175 acres under acquisition and development) the fully residential IIT(ISM) has all the facilities of a world class academic institute. Courses Offered: As an institution to allow mining education has graduated into a full-fledged technical institution of international acclaim offering a host of programmes like B.Tech, M.Tech, M.Sc, and MBA. Admissions: ISM EE 2019 grants admission in postgraduate engineering courses even for candidates who did not appear for the GATE Exam or have secured fewer marks in the exam. The candidates who have not qualified for GATE Exam can also apply for ISM EE. Application form: The ISM EE 2019 Application form will be available from 7th January 2019 on the official website, the eligible and interested candidates may apply. Exam: The ISM EE 2019 exam will be held on 10th May 2019. Result: The result of ISM EE 2019 will be declared in the third week of June 2019. Age Limit: The Age Criteria for candidates who belong to the general category should not be more than 30 years of age and there is age relaxation for candidates belonging to other reserved categories. Qualification: Candidates are required to have cleared their Bachelor of technology or engineering programme from a recognized university. Marks: The candidates belonging to General category and OBC must have scored minimum 55% or 5.5 in 10 point scale (CGPA/CPI) and for SC/ST category the candidates need to have a minimum score of 50% or CGPA/CPI of 5.0 in 10 point scale. GATE qualified candidates need not take the entrance examination. Availability: The application forms for the IMS EE 2019 Exam can be filled online from the official website. The application form will be available on the website from 7th January 2019. Details: The candidate must have to enter details such as personal details, qualification details, contact details etc. in order to complete the application form successfully. Application Fee: Application fee is INR 500/- for UR/ OBC (NCL) applicants and INR 250/- for SC /ST /PWD /Women candidates and it should be paid in the online mode. Documents: Candidates are required to upload recent passport size photograph along with scanned signature in the prescribed format. Get more information on ISM EE 2019 Application Form and payment ways. Duration: The time duration for the exam is 3 hours, with three different sections called Part A, which is for 30 marks, Part B for 20 marks, and Part C for 10 marks. Mode of exam: The ISM EE 2019 Exam will be conducted in offline mode i.e Pen-Paper based test (written OMR). Medium: The examination will be conducted in the English medium. Get more information on ISM EE 2019 Exam Pattern and marking scheme. Availability: The admit card will be available on the official website of ISM EE 2019 Exam from the 1st week of the month May 2019. Credentials: The candidate has to enter the credentials such as application number and date of birth in order to download the admit card. Mandatory : Candidates are required to get the admit card for the exam centre without which the entry will be denied. Subjects: The ISM EE 2019 Subjects depends on the stream opted by the candidate. Topics: The subject in the syllabus of ISM EE 2019 will contain topics based on the stream that is opted by the candidate. Availability: The ISM EE 2019 Result will be available on the official website from the 3rd week of the month June 2019. Credentials: The candidates can check their results by using their roll number and date of birth. Print Out: Candidates need to take print out for future communications. Qualified candidates will be called for the counselling process. Schedule: The counselling date for ISM EE 2019 exam will be on 14th June 2019. Number of Rounds: The counselling will be held in four rounds. Seat Allotment: Based on the merit list, the seat will be allocated. The Seat Allotment will be announced on the basis of the GATE Scores/ ISM EE Merit Rank and the options filled by the candidates. Document Verification: Candidates are required to bring all the original documents for the process of verification during the counselling process. Application form: The ISM EE 2019 application forms will be available from 7th January 2019 to 15th April 2019 so that the eligible candidates may apply from the official website. Admit card: The admit card is made available to the candidates only those have completed the registration process successfully from 3rd May 2019. Results: The ISM EE 2019 Exam Results will be available from 11th June 2019 on the official website. Counselling: The ISM EE 2019 counselling will be held from 14th June 2019. Qualification: The Candidates must possess a Bachelor degree in Engineering/ Technology or equivalent or a Master degree in Science, from the recognized institutes. Documents: The candidate has to produce the certificate for degree equivalence, issued by any of the certifying authorities. Other Qualification: The candidate should pass higher secondary (10 + 2 level) with Mathematics or else they will not meet the eligibility criteria. Age: Based on the category and by sponsors, the age may differ from the courses which the candidate chose. Medical Fitness: A candidate is required to submit a medical certificate signed by the Chief Medical Officer (CMO) an equivalent of a government hospital. The candidates need to visit the official website. The candidate needs to register online on the official website of the university. The candidate will be given a username and password to log in. The candidate needs to fill the application form with the necessary documents. There must be certain documents to be uploaded while applying. The application fees must be paid online once after registration is done. The ISM EE 2019 application form will be available on the official website of IIT (ISM) from 7th January 2019. The non-refundable application fee for each program is INR 500/- for UR/ OBC (NCL) candidates and INR 250/- for SC /ST /PWD /Women candidates. The candidate must provide a valid document which is asked in the application form. The candidates any of information being found false or incorrect or incomplete or ineligibility being detected at any time before or after admission, his/ her candidature is liable to rejection without further communication. The admit card will be available on the official website of ISM EE 2019 Exam from 3rd May 2019. The admit card will have details like Candidate's Name, Address, contact details, test centers etc. The admit card should be downloaded from the official website with given login credentials. The candidate is mandatory to carry the ISM EE 2019 admit card to the ISM EE exam center. Duration: The time duration is 3 hour for the exam. Mode of exam: The IMS EE 2019 Exam will be offline(written OMR). Sections: There will be different sections called Part A is for 30 marks, Part B is for 20 marks, and Part C is for 10 marks. There are the different syllabus for ISM EE 2019 Exam in which the candidate needs to choose the subjects based on the courses. The candidates need to download the various topics related to courses for ISM EE 2019 exam. Through various topics related to ISM EE 2019, the candidate can choose for the desired course. The official website of ISM EE 2019 exam will release the results for the candidates who had taken the test. The candidates can check their results by using their roll number, date of birth. The results are made available from 11th June 2019. The counselling dates for ISM EE 2019 is 14th June 2019. The candidates are required to register on the official website and pay a non-refundable fee of INR 1000/-. The candidate will receive a unique registration number and password which is used to log in after the registration is completed. The candidate needs to upload the specified documents which are mentioned in the counselling process. The Seat Allotment will be announced on the basis of the GATE Scores/ ISM EE Merit Rank and the options filled by the candidates. Hi, I am Sneha I have not received my migration certificate till now so can I give it after 6 months? You can give the migration certificate later but for that, you have to consult the admission authority of ISM EE. For more information, click here. Hi, I am Pooja can you provide me with some previous year questions of ISM EE exam? The Questions changes every year in ISM EE. The questions of ISM EE can be received through official website. To go through the mock papers, click here.